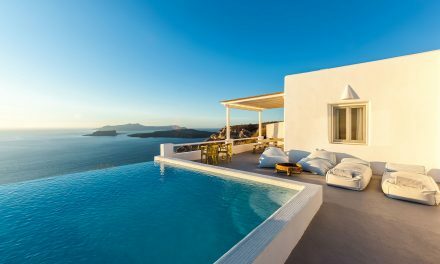 We have already spoken of the typical Greek island architecture, whose main feature is sustainability, the relationship with the environment and the use of materials of prime necessity, rather than choice materials. 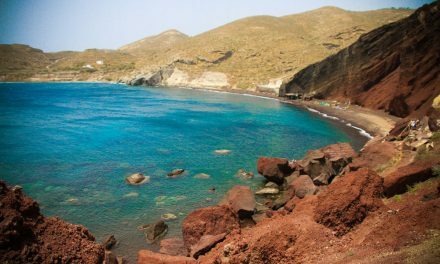 What differs Santorini from the other greek islands is, without doubt, the yposkafa: cylindrical archways carved into the earth. The slope and the hardness of the ground, together with the need to save material, have led to the creation of deep cavities, usually divided into a row of 2-3 rooms. Typically, the front openings are the only sources of light and fresh air in these deep spaces. The walls of the caves are in fact adorned by protruding rocks, left as they were found during construction, so as not to alter the stability of the soil and increase the costs of transport. It comes in contact with the history and the work of men, who have built them, but also with the bowels of the magmatic and unstable earth of the island and its volcanic rocks. Space, as it may seem cramped and dark, has a charm that immediately wins the visitors, captivated by this arrangement unusual and unique. Today yposkafa have been renovated and decorated by skilled architects, who have respected the original structures, enriching it with modern touches, that make it more livable and attractive, as well as suggesting the use of candles to illuminate the rooms, creating a charming and romantic effect. A journey between past and future in the luxury yposkafa around Santorini, equipped with every comfort: marble bathrooms with shower and Jacuzzi tub, antiques furniture and handmade rugs, as well as satellite Tv and wireless internet access. Photo by Christos Drazos Photography. All rights reserved. 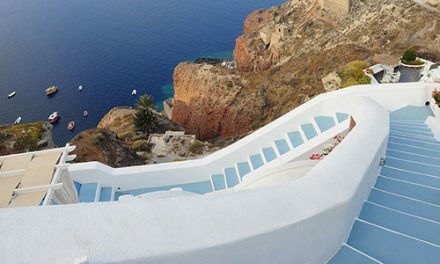 PreviousWin a weekend on the island of Santorini, join our contest!